Again this year, the warm interest of our visitors for our new & standard products gives us the strength to go on our activities and serve your inquires by the best way we could despite the crowded moments. With your visit you helped us making our participation one of the most successful. We hope that our discussions and information have been useful for you and that we will be given the opportunity to continue or establish fruitful business relationships. We remain always available to realize your professional lighting projects and help you effectively to order the appropriate lighting equipment you need. 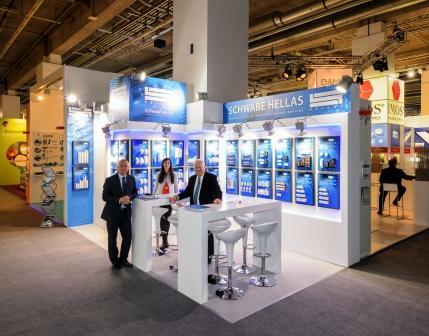 We expect you and those who could not come this year in the Fair, to contact us so as to provide the most right solutions for their lighting requirements.